Madame Chair and members of the committee, my name is Jax Finkel and I am testifying on behalf of Texas NORML, for the HJR 108. Thank you for your time today. We actually see an increase in arrest rates in Texas, especially in youth. There was a 21% increase in youth arrests for possession between 2015 and 2017. Half of all arrests in 2017 were youth aged 17-24 yrs. (see attached) In 2017, 64,000 Texans were charged with possession and two-thirds were convicted. Texas spends $700 million for low level marijuana possession arrests in Texas. I had the opportunity to speak with Chief Steve Dye from Grand Prairie after a press conference and he told me, “We just want to get these people in the system.” By maintain the status quo, we are doing just that. Chiefs and Sheriffs are charged with managing budgets and very necessary resources for the officers under their command. They seek to preserve the resources created by arrests and asset seizures related to marijuana possession. In 2017 alone, more than $50 million went to local law enforcement through civil asset forfeiture, much of if cannabis related. These funds are important to LEOs because of a DEA program called “equitable sharing”. Through this program, money from local seizures which would normally go to either the county or the state can become federal dollars going directly back to the seizing law enforcement agency. This local money is rendered to the DEA and it is then– pardon the expression, laundered – where the DEA takes up to 20% and then returns the money back to the law enforcement agency, now in the form of federal dollars, thereby bypassing any claim or regulation the state or local government may have on those monies. 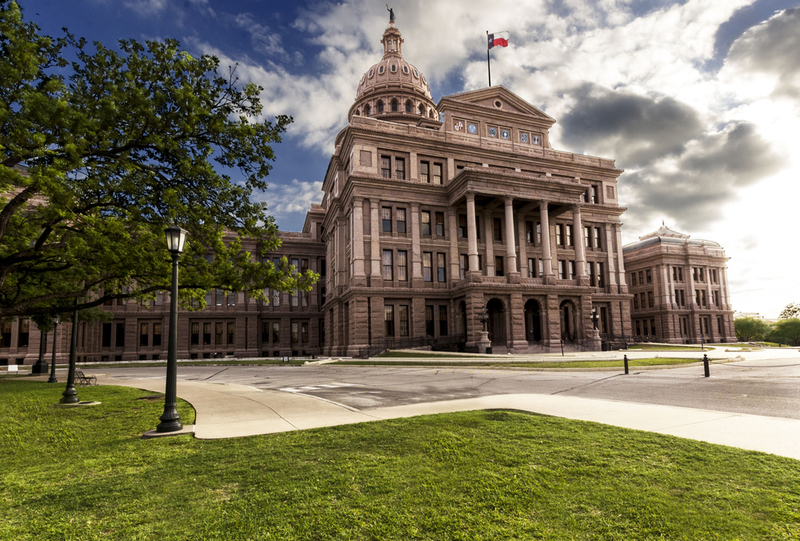 The only public testimony Texas legislators typically hear in opposition to cannabis reform is delivered by executive law enforcement organizations, such as police chiefs and sheriffs, likely on the taxpayer’s dime. Their concerns are very different than the average citizen of Texas who cannot abide leaving patients in pain or saddling Texans with criminal records to make law enforcement’s jobs easier, or pay department bills. There are over 60 bills on cannabis this session. Not all of the discussion in the capitol is about legalization. Nor is it all of this discussion secretly leading to legalization, as is often repeated by some law enforcement officers in the Capitol. Please recognize that medical freedom and civil penalties are important measures to stop the majority of the harm being committed today. But today, you actually do have the subject of legalization before you. The only question is who should decide? A vote for HJR 108 is not a vote for cannabis legalization. It is a vote to empower the citizens of Texas to decide which direction they would like to go on this particular issue. Individual members of the legislature are in a tough spot when every bill addressing the subject is miscast and mischaracterized as a vote for legalization. This is an opportunity to separate out this debate and simply let the voters decide on the big question. Texas is surrounded by sweeping change regarding cannabis. Every state surrounding us has access to medical marijuana. The countries to the north and south of us—Canada and Mexico—are implementing full cannabis legalization as we speak, with New Mexico close on their heels. We will soon be left as the largest economy in the North American Continent that has not taken steps forward. That failure will increasingly have dramatic consequences to our economic development as the national culture continues to evolve. Let Texas citizens decide what Texas laws should be. When they do, all of your remaining decisions on this subject going forward will be much easier.